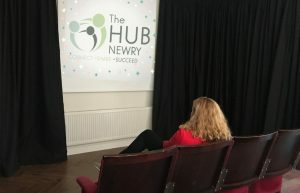 Husband and wife team, Patrick and Suzanne Murdock have launched their third coworking space in Newry six years on from when they first introduced the people of Newry, and indeed Northern Ireland to a concept that was relatively new throughout Ireland at the time. 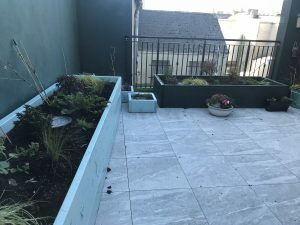 Having lived in London for a number of years, Suzanne and Patrick were keen to bring a little bit of what they loved about London home to Newry. 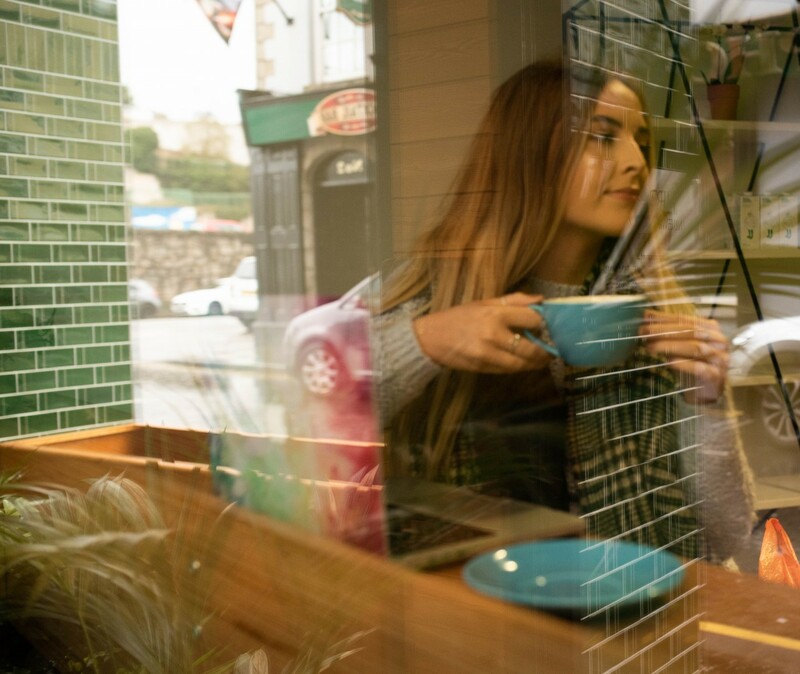 Suzanne is a founding member of The Irish Coworking Assembly which aims to promote coworking spaces throughout the north and south of Ireland as demand for such facilities continues to grow both locally and globally. 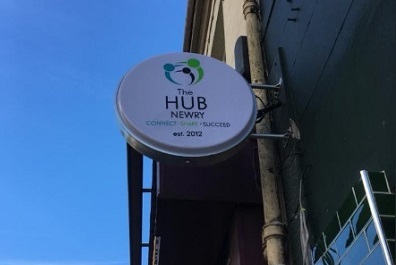 The Hub Newry launched its first coworking hub at St Colmans Park in the city back in 2012 and such was its success that a second space in Abbey Yard was launched in 2016, and now a third space two years later. The Hub’s latest coworking space is located in Margaret Street and its facilities are spread across three floors of the building. The fully furnished and equipped workspace offers hot desks for occasional or daily use, private office spaces for rent, meeting rooms and event space as well as a garden area and coworking cafe. Virtual office facilities including a registered office address, mail/parcel delivery and mail forwarding services are also available. Members benefit from key card access, fibre broadband, shower facilities onsite and the space is fully DDA compliant to cater for those with disabilities. 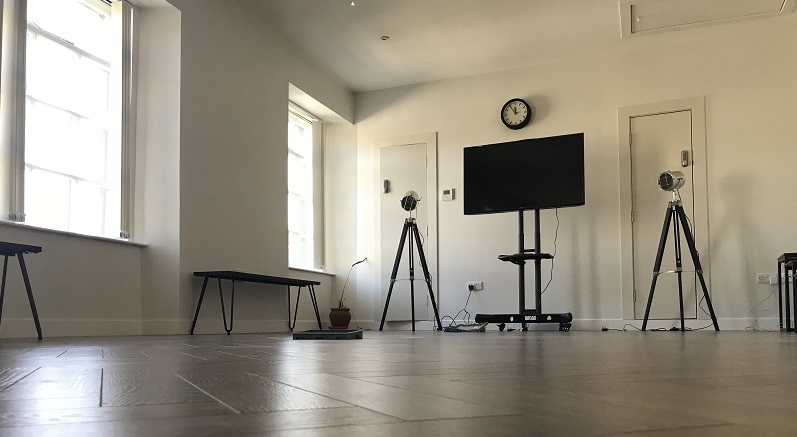 Whilst all of The Hub’s coworking spaces offer these facilities, there are a few key features that make the Margaret Street coworking spae that little bit unique. The venue is the only one of the three to have a coworking cafe, which can double up as event space. 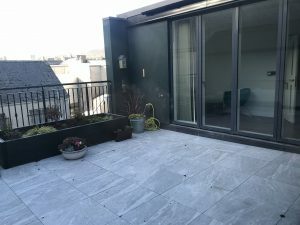 It is envisaged that the café will be primarily aimed at the business community as a venue for informal meetings, networking events or simply as a space to have a coffee and work when you’ve time to spare between meetings. 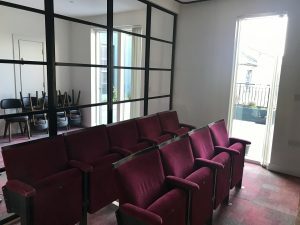 The second unique feature of this new coworking space is its mini cinema. 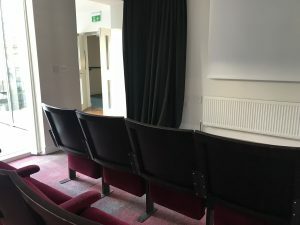 This area has been kitted out with a number of the old style red velvet covered cinema seats and can seat up twelve people. If you want a cosy space which is that little bit different for a team meeting, focus group or to deliver a presentation to a group, this is just the place! Additional meeting room spaces are available to hire. Individuals can check availability and book online, where pricing information for all three coworking spaces is also readily available. 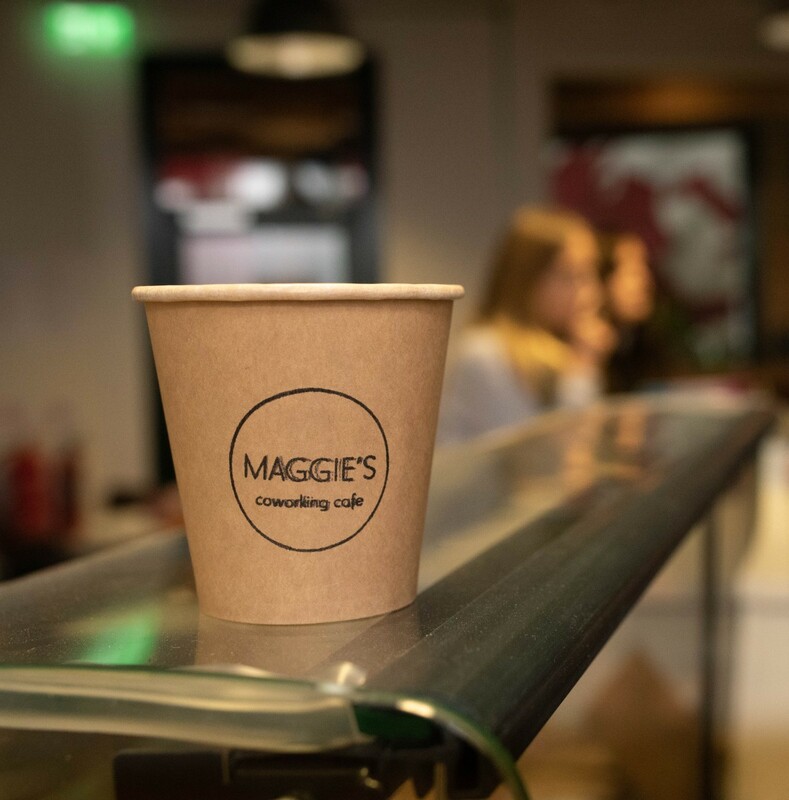 ABC Business Network will be the first group to receive a tour of the new Margaret Street Coworking space on Thursday 25th October. The business networking group is well known for hosting monthly business networking events in various venues in the Armagh, Banbridge and Craigavon areas. As a member of the group, Suzanne is keen to host members and show them what Newry has to offer. Breakfast will be served on arrival and Suzanne will provide a tour of the premises. She will also educate participants on the benefits of coworking and brief them on changing working trends and ideas that employers can introduce to create a positive and modern working environment for employees. Chris McCabe, a Software Developer at The Péarlaí Group and Area Director for Toastmasters International will be the guest speaker at the meeting. Chris will share his career journey to date and some tips on how to improve or tackle your fear of public speaking. Having successfully set up a Toastmasters group in Newry, Chris will also be providing details of his latest group which recently launched in Banbridge. ABC Business Network welcomes visitors to its monthly meetings and members of the local business community as well as The Hub’s own member businesses are encouraged to register to attend the event. Previous PostCoworking history, The Hub’s perspective.